Oil on Canvas, ‘Interior of St Giles’, c. 1915 by Patrick William Adam, RSA (1854-1929). 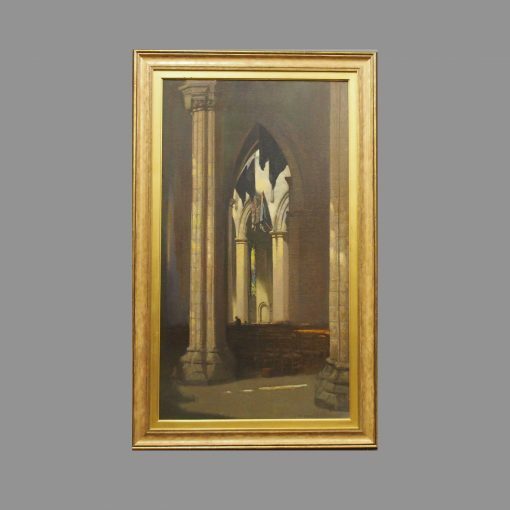 Signed and dated, the painting depicts the interior of St Giles’ Cathedral, the High Kirk of Edinburgh, located on the Royal Mile (High Street) of Edinburgh. 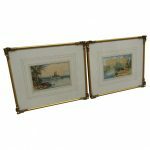 It is contained in a moulded, gilded frame. Patrick William Adam was born in Edinburgh in 1854 and studied at the Royal Scottish Academy (RSA), and his works are in several public collections, including National Galleries of Scotland, Glasgow Museums, and Leeds Art Gallery.